Thanks for visiting with us, God Bless You!! We now take PAY PAL and Credit Cards for purchases and payments! "Coloring Your World, One Morgan At A Time" with "Quality and Class in Color!" Take a bow kids! SEE! 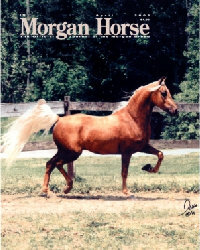 was the 1st colorful to win the Morgan Connection Magazines Foal Contest. 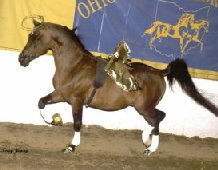 She was also the first colorful shown in The Breeders Sweepstakes. she is loved by Diana Jasica. 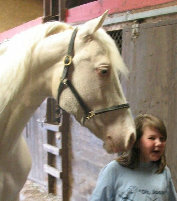 We offer top quality Morgan horses of all colors, disciplines and bloodlines, for sale and our cremello at stud. 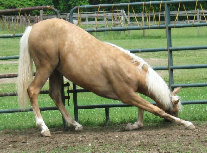 We offer Stallion Collecting, Foaling out mares, Lessons on and off the farm, Limited Training, Clinics and MORE. 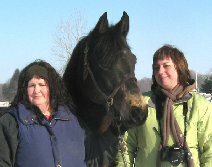 LOVE of the Morgan Horse for over 36 years.... and Miniatures since 2011. 1982. He has been a great ambassador for the breed. 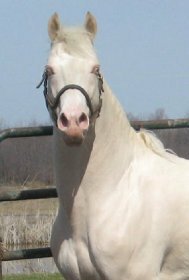 Our beautiful cremello Morgan stallion, "Buzz". His 2013 fee to Morgan mares is $800 including 1st collection! TWO breedings and TWO collections for $1450! 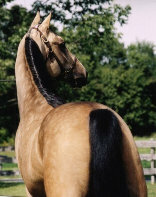 Arabian mares are $650 or two for $1150! CLICK here to SEE what "The Buzz is all about!" View his page & all of his CHAMPION & WINNING GET from coast to coast! He has sired nearly 50 golden foals! we now stand and breed miniature horses and will have our first foals for sale in 2014! 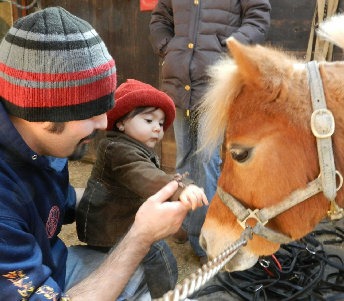 We also offer DRIVING LESSONS and MINIATURE HORSE classes for children to learn about horses and their care, but with the smaller size of the Miniature Horse it is less intimidating which also makes it more FUN! NEWS FLASH!!!! 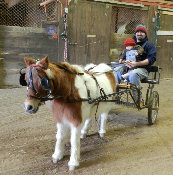 Now offering TRAINING, LESSONS and FINISHING DRIVING for MINIATURE HORSES and PONIES! 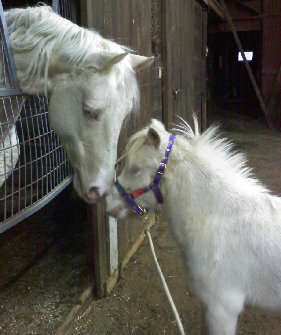 my perlino pinto miniature horse stallion! Promised Land Farm, established in 1976, dedicated to "God and all His glory!" 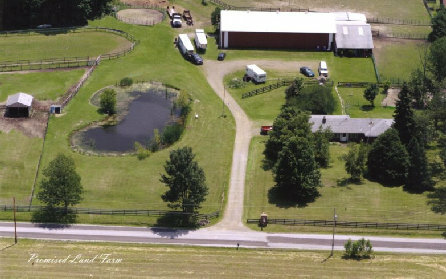 At our current location since November of 1987.
and "A Little Piece of Heaven Miniatures" at Promised Land Farm, aka, "Bella's ponies." CLICK on one of the LINKS BELOW to Check Us Out!